Voluntary Administrations (VAs) allow insolvent companies to continue to operate, or, if this is not possible, they provide for a greater return to creditors than they would otherwise receive if the business was liquidated. Directors usually instigate a VA when they believe the company is insolvent, or is likely to become insolvent (i.e. the company is unable to pay its debts as and when they fall due). A VA appointment immediately suspends most creditors’ claims against the company. The director or directors then work with the Voluntary Administrator to implement a proposal for the company’s future. This proposal deals with matters such as how the company will operate, what assets will be sold or retained, and how creditors will be paid. This proposal is then put to creditors at a meeting, in the form of a Deed of Company Arrangement. At Jirsch Sutherland we have extensive experience with VAs and can quickly and efficiently assess a client’s situation to determine whether this option is the best solution for their needs. When a company is experiencing financial issues, it is a difficult time for stakeholders – both financially and emotionally. We believe that people need and deserve to be treated with dignity and respect and we work hard to save businesses where possible. 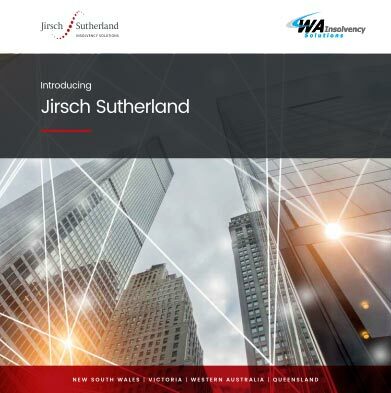 Jirsch Sutherland is passionate about finding the best solution for all stakeholders and our commitment to this has helped many directors and companies avoid liquidation through the use of the Voluntary Administration (VA) provisions of the Corporations Act.